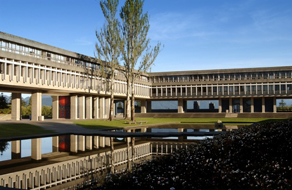 Simon Fraser University founded in 1963, is a medium-sized comprehensive university, and a top 10 university in Canada, that has been climbing up the rankings in recent years. The university is located in the top of the Burnaby mountain, with an unparalleled natural environment. SFU emphasizes on the practicality in its teaching, and closely integrates classroom teaching concepts with field experiences, by assisting students to participate in paid internships of particular specialized fields, to expand their knowledge and adapt earlier to the society. SFU was five times awarded (1993, 1996, 1997, 1998 and 2000) as Canada’s best comprehensive university in the annual top university ranking by Maclean’s Magazine, and is also a first top regular candidate for the magazine’s nation-wide university assessment.